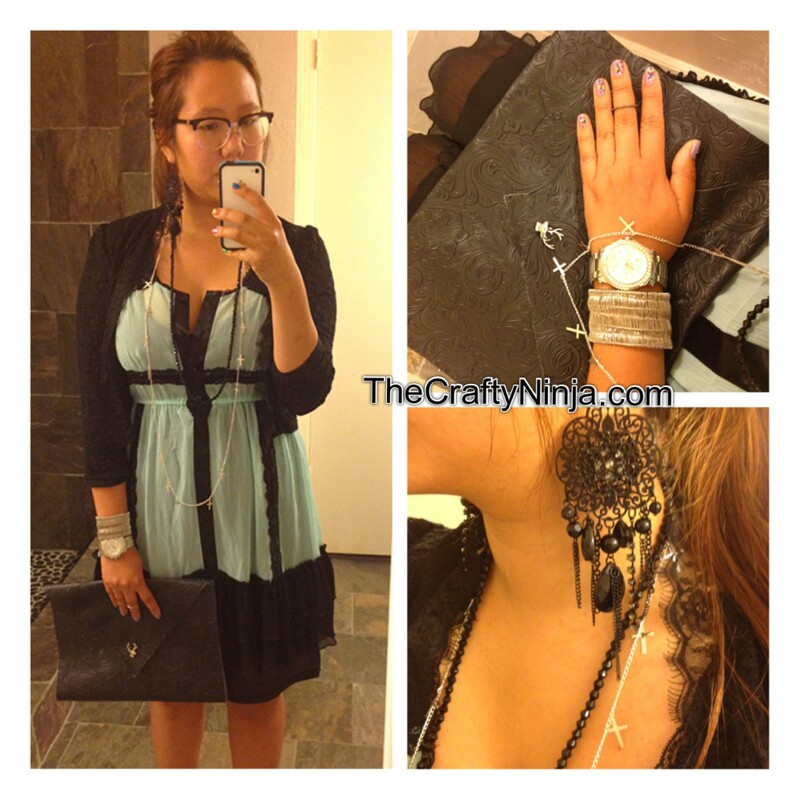 Today’s outfit is girly black and mint chiffon dress (I like this one here) with accessories. Black chandelier earrings are from Nordstrom (similar one here or here). Black lace jacket is by Lauren Conrad (I like this one here). The cross necklace is from Rue21 (I like this one here) and the black bead necklace is from a thrift store. My arm swag is my Juicy Couture Watch and Silver metal cuff bracelet (I like this one here). 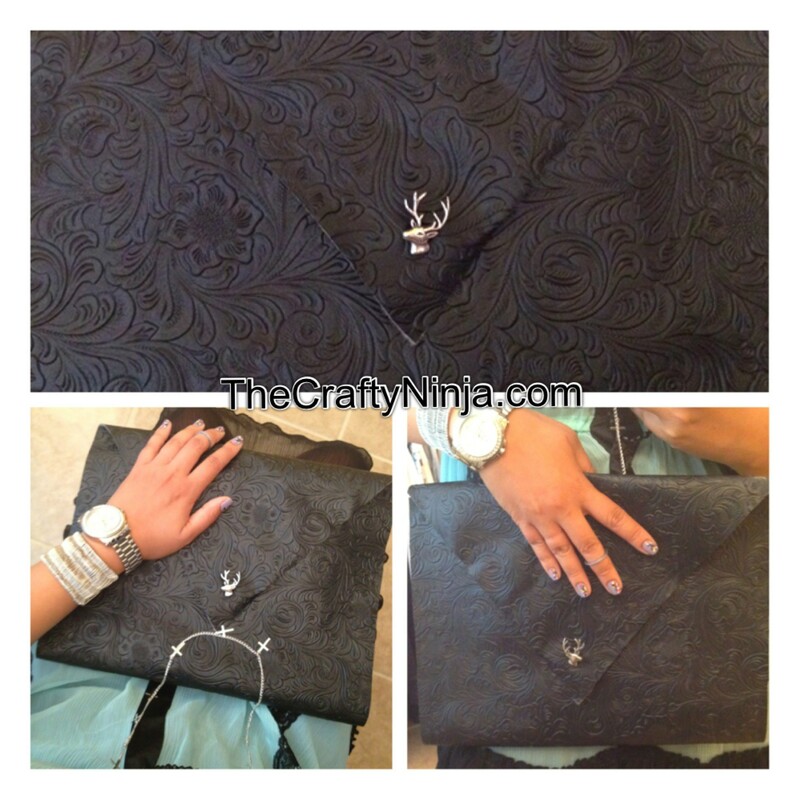 My DIY envelope clutch tutorial for my iPad Case is here.